Holed up in his hideout in Abbottabad, Pakistan, Osama bin Laden nevertheless hatched a plan to trigger a "crisis" in the U.S. by assassinating President Barack Obama and Gen. David Petraeus. Watch a preview of "Secrets of bin Laden's Lair," airing Tuesday at 10 p.m. ET on the Discovery Channel. Materials found inside Osama bin Laden’s compound last May show that the al-Qaida leader regularly ordered his subordinates to plan new attacks, including assassinations of President Barack Obama and Gen. David Petraeus, despite an increasingly limited cadre of operatives capable of carrying out such attacks. Like Adolf Hitler at the end of World War II ordering mythical German divisions to attack Russian positions, bin Laden wanted progress reports on how his plans were coming together. And like Hitler’s generals, al-Qaida’s top commanders believed that their isolated leader didn’t get how bad things were on the ground. That’s one of the insights U.S. officials gleaned as they went through the terabytes of data quickly scooped up during the raid one year ago on bin Laden’s compound in Abbottabad, Pakistan. In all, Navy Seals recovered five computers, 10 hard drives and more than 100 storage devices -- DVDs, discs and thumb drives -- that included between 10,000 and 15,000 documents and between 15,000 to 25,000 videos, including a large number of duplicate files. NBC News was granted a rare briefing on the materials by a senior U.S. counter-terrorism official with first-hand knowledge of what was found. The briefing, which occurred on condition of anonymity, took place in Washington in late April and is reflected in the Discovery Channel documentary “Inside bin Laden’s Lair.” The broadcast, produced by NBC News, airs Tuesday at 10 p.m. ET. 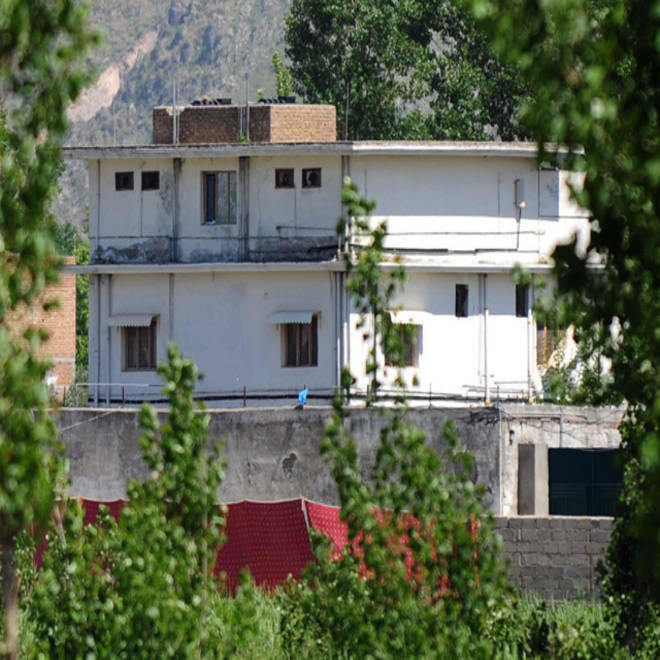 After Osama bin Laden's death, U.S. intelligence agents poured through the trove of documents seized from his compound and discovered that the al-Qaida leader was 'in charge, and just as dangerous as ever.' Watch a preview of "Secrets of bin Laden's Lair," which airs Tuesday at 10 p.m. ET on the Discovery Channel. -- The materials did not contain any operational plans, either for future attacks or past attacks, but included “aspirational” plans for attacks that bin Laden wanted to carry out but didn’t have the wherewithal to do. There was nothing to suggest any planning for attacks beyond those broad plans disclosed in the weeks after the raid: assassinations of Obama and Petraeus, attacks on tankers and mass transit and bombings planned for anniversaries like the tenth anniversary of the Sept. 11, 2001, terror attacks. -- Bin Laden was more than the titular head of the terrorist group. Everything “went through him” – including communications from field operatives -- and he had “a wide range of authority over al-Qaida even at the end,” the official said, declining to provide specifics. In short, he was “as dangerous individual on May 1st as he had been years before,” because of the intense loyalty he still engendered in the organization and the broader militant Islamist movement. -- Bin Laden and his No. 2, Ayman al Zawahiri, saw the “Arab Spring” uprisings in the Middle East and north Africa as a “danger” for the future of al-Qaida, representing a “fundamental shift” in the region. Governments that bin Laden and his followers had given up on overturning were “toppling,” but “the demonstrators were not expressing support for al-Qaida at all, not using al-Qaida themes, etc.,” the official said. Moreover, by hiding in Pakistan, with limited access to media, bin Laden felt isolated from the movement. The official said bin Laden’s desire to attack without resources was particularly frustrating for his aforementioned top aides, Atiyah Abd al-Rahman and Ilyas Kashmiri, both of whom were killed in Predator drone attacks within four months of bin Laden’s death. Did rogue spies or 'Pakistani Blackwater' shield bin Laden? “What you get is that bin Laden would come up with an idea but it was a very broad aspirational idea. And then he’d turn it over to somebody and there was always some sort of disconnect," said the official describing what was gleaned from the documents. “There was more (of Attiyah and Kashmiri) trying to explain to Bin Laden how bad it was, that ‘you don’t understand.'" One such example was bin Laden’s desire to kill Obama. “My recollection was that he said it would be a good thing.” It was up to Attiyah and Kashmiri to plot it out. “By the end of last year in some of the communications, because they would provide him with a list of the people who had died, there was certainly a sense of loss in terms of the senior leaders that perished, a sense that the mid-level cadre had been decimated,” the official added. Despite his isolation from the battlefield and the fact that communiques had to reach him by a secret network of trusted couriers, bin Laden continued to hold a key place in the jihad, as more and more al-Qaida “franchises” took hold in places like Iraq, Somalia and Nigeria. It was often his personal charisma that attracted young men to join the terrorist ranks, the official said, adding that he acted the part. “He weighed in on a lot of issues. They tended to seek his guidance on a lot of things and clearly would wait until he got back to them,” said the official. Beyond the specific details in the seized documents, said the official, the U.S. was able to better gauge al-Qaida’s vulnerabilities. “They worry about how we think about targeting,” the official said, discussing Predator attacks. “… Through the course of all the letters it was clear (what) things … mattered to them.” It allowed U.S. intelligence to “hone our approach … put more resources on this or that,” the official said. The job of analyzing the wealth of materials seized from bin Laden’s compound was enormous, the official said. The intelligence community pulled in 200 analysts and 100 linguists to mine the trove as quickly as possible. Despite the daunting numbers of documents and videos, most had no intelligence value and were set aside in the “triage” of intelligence analysis. Some were duplicates. Of the 15,000 to 25,000 videos, for example, not one contained images of possible targets. Not one was an instructional video. A lot of them, said the official, depicted “life around the compound … chickens and cows, rabbits and dogs,” in effect home videos to alleviate the drudgery of the more than a dozen bin Laden family members who were cooped up in the walled complex. Most of the documents were likewise of little value, but each had to be catalogued, he said. “A lot of people would give them thumb drives and disks etc. They would send articles and the like. It was something off of Time magazine or something translated, so it wasn’t really an al-Qaida document,” the official said. Adding to the job of separating the wheat from the chaff was that some of the thumb drives -- al-Qaida’s preferred means of communicating -- held dozens of videos or documents not meant for bin Laden. That did not discourage the analysts, the official said. Despite the massive amount of material grabbed by the Navy SEALs in the brief time they had in the compound, the official acknowledged “we didn’t get everything” and that there may have been other “baskets” of data outside the compound. Jim Miklaszewski is chief pentagon correspondent for NBC News; Robert Windrem is a senior investigative producer for the network.